Pursuant to the Warwick South Pacific four resorts in Fiji changing LPG suppliers to Blue Gas, I write to express our thanks and congratulations to all your parties involved. This commenced with detailed and explicit proposals formulated, not just from costing perspective but also improvements within the LPG internal supply infrastructure also incorporating improved energy efficient appliances: this very much evident with the improved hot water systems and fluming of same. Such practise of reducing our carbon footprint endorses a policy that as a organisation we pursue actively. The aforementioned infrastructure and hot water appliance, tiki lights, etc where then installed in a very professional manner abiding by the protocols required under the appropriate occupational health & safety procedures. Such works were executed with no disruption to the operation of any of the resorts, thus enabling normal guests comfort to be maintained. I wish to thank all those involved both directly and behind the scenes: a commendable effort! Sonaisali Properties went through a vigorous and detailed evaluation process for a hot water solution at the resort. We selected Blue Gas as our solution provider for piping and reticulation works and as the supplier of Gas Water Heaters plus Gas. We have found them to be methodical and efficient in their installation works. This is to confirm that Blue Gas company is contracted to supply LPG gas to Mana Island & Resort Spa. We have duly executed agreement of five years with an option of further renewal. We switched to Blue Gas some seven years ago and recorded a savings in terms of unit cost and consumption. We use gas for cooking and gas heaters in rooms including outdoor torches. In addition, they carry out periodic checks on our equipment and do the necessary maintenance as and when required at a very affordable rate. We are extremely happy with their regular supplies and always meet our strict deadline for delivery. 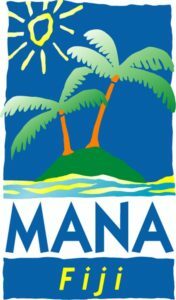 Gas price is inclusive of delivery cost to Mana Island (CIF). Please contact the undersigned if you require and further information. We have been working with Blue Gas as our gas supplier for the last three years and have found them to be extremely reliable, competent and very responsive to our needs. Vunabaka is an extensive integrated tourism development that involves a lot of different scope of services and installations all of which Blue Gas has been performing. We would be happy to discuss in more detail if required.